Comfy beds. Comfy mattress. Cozy sheets. What more could one ask for? Well there might be just one more thing. A magical duvet comforter relationship where the comforter doesn’t slide down from the corners of the duvet and get all schlumpy. For those that are wondering what a duvet is, think of it as a huge pillow case for your comforter. 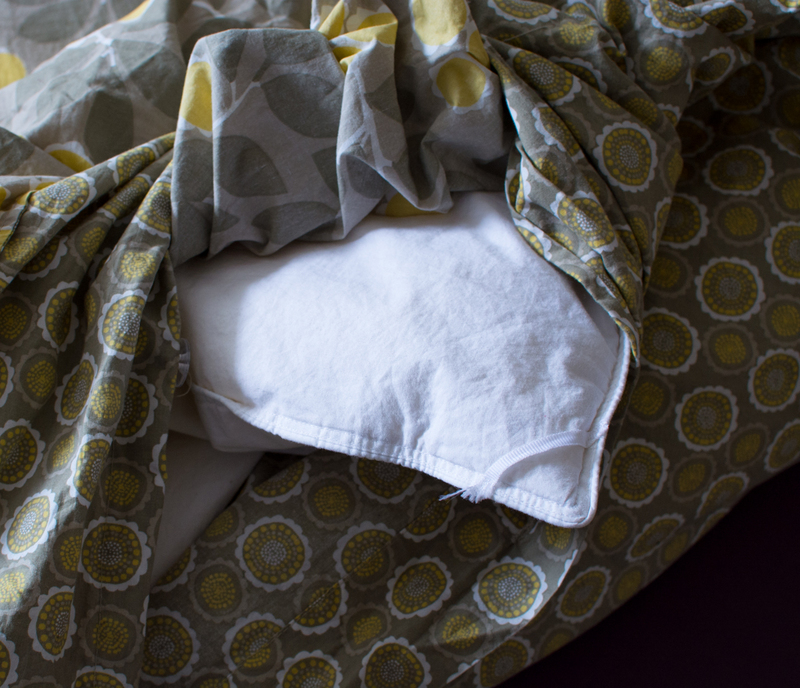 I grew up with ‘bed-in-a-bag’ from Kohl’s and am relatively new to the duvet scene. Duvets are awesome and can be cheap, expensive or even have skulls on them. I recently noticed in one of Joey Graceffa’s youtube videos that he had a fancy duvet that attached to the comforter. What?! I know. I won’t be buying a fancy duvet/comforter set anytime soon so that’s where DIY comes in. And…it’s super easy, if I do say so myself. 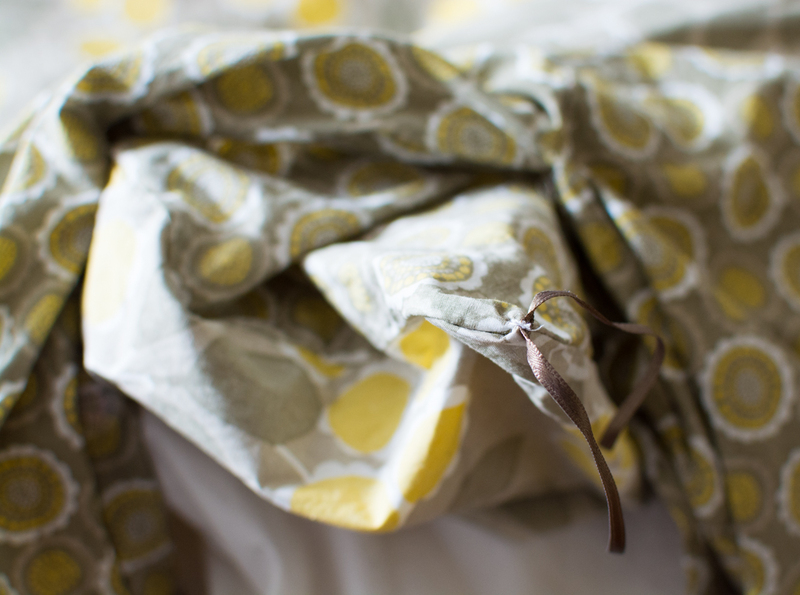 Meet today’s DIY – a duvet fastener. Let me preface this with my general inability to sew. I do not own or remember how to operate a sewing machine (sorry 7th grade Home Ec). The most I am able to sew is a few stitches to repair a shirt or sew on a button. This tutorial is that easy. You’ll need thread, a needle, scissors (or sharp teeth), and a couple pieces of ribbon. 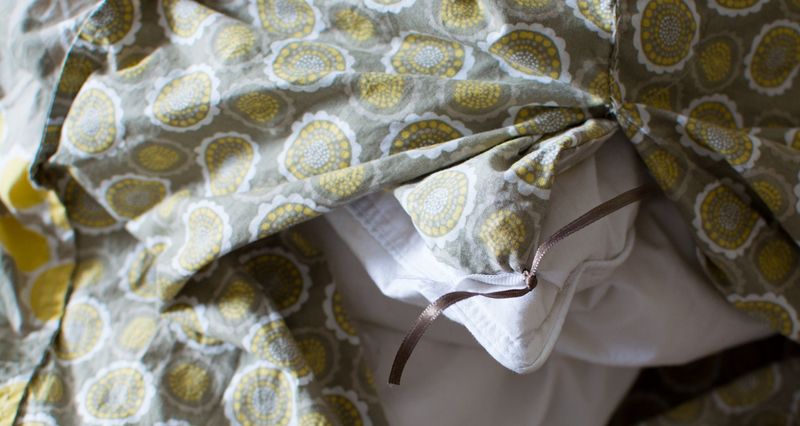 Lay your ribbon across a corner of the duvet to measure how long you need it to be, make a cut and then use that piece to measure and cut out 3 other pieces. 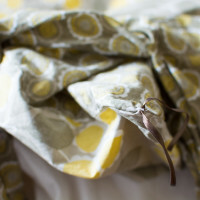 Sew each side of the ribbon onto the comforter. Repeat with all 4 corners. 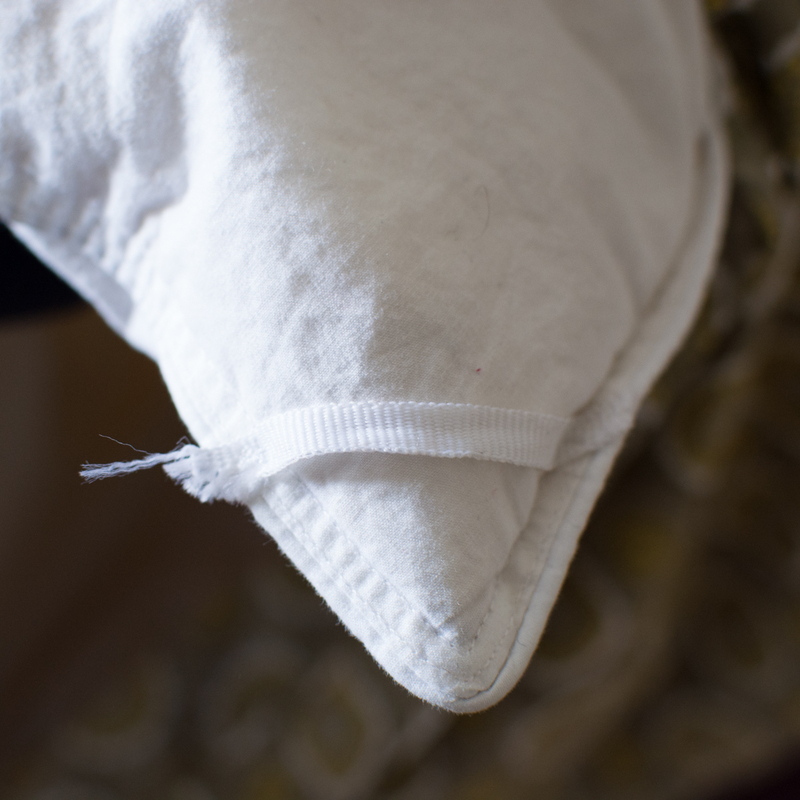 Then taking your other string, find the center and run the thread through it attaching it to the corner of your duvet comforter (make sure your duvet has been turned inside out). Once it’s secure repeat with remaining corners. Then turn your entire duvet inside out and lay it out on the floor, lay the comforter on top and tie all 4 ‘duvet’ strings around the comforter ‘band’. Complete using the ‘burrito method’. And now your bed is snug as a bug and so are you. I did this a few weeks ago and everything is still nice and tight. Love! 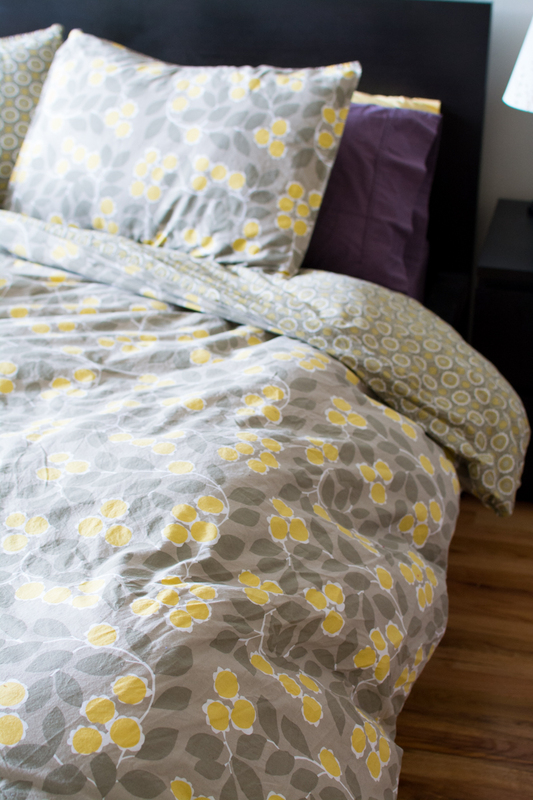 Do you peeps in America not use duvet covers?! Here in the UK, a duvet is the blanket that keeps you warm, and a duvet cover is the giant pillow case. Love the duvet! Where’d you get it?